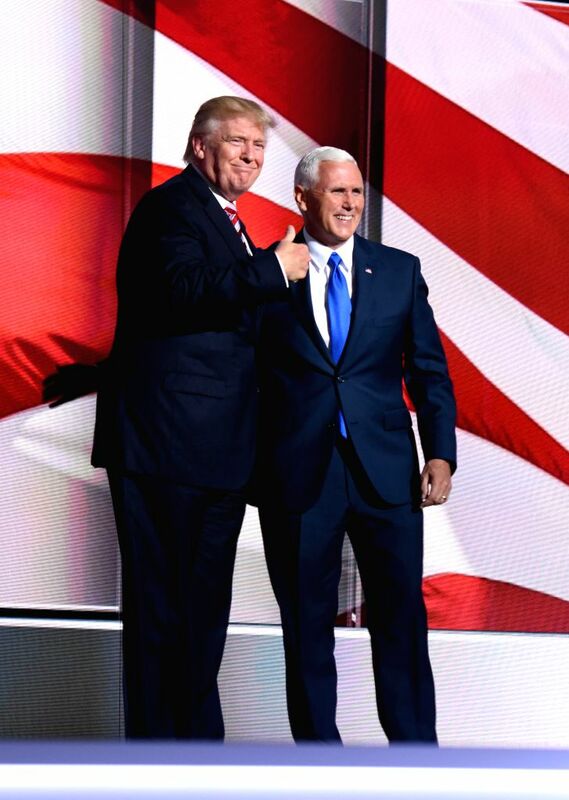 CLEVELAND, July 21, 2016 - Republican presidential nominee Donald Trump (L) and vice presidential nominee Mike Pence take the stage at the Republican National Convention in Cleveland, Ohio, the United States, July 20, 2016. 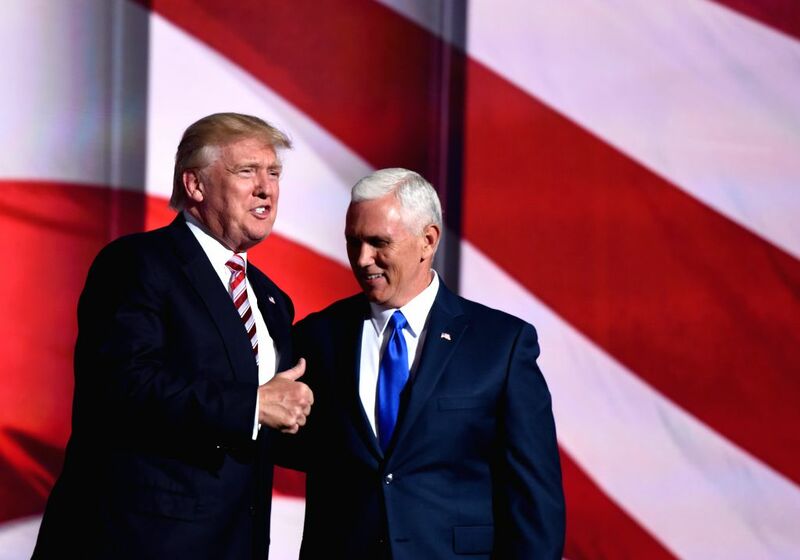 Indiana Governor Mike Pence formally accepted the Republican vice presidential nomination on Wednesday night at the 2016 Republican National Convention. 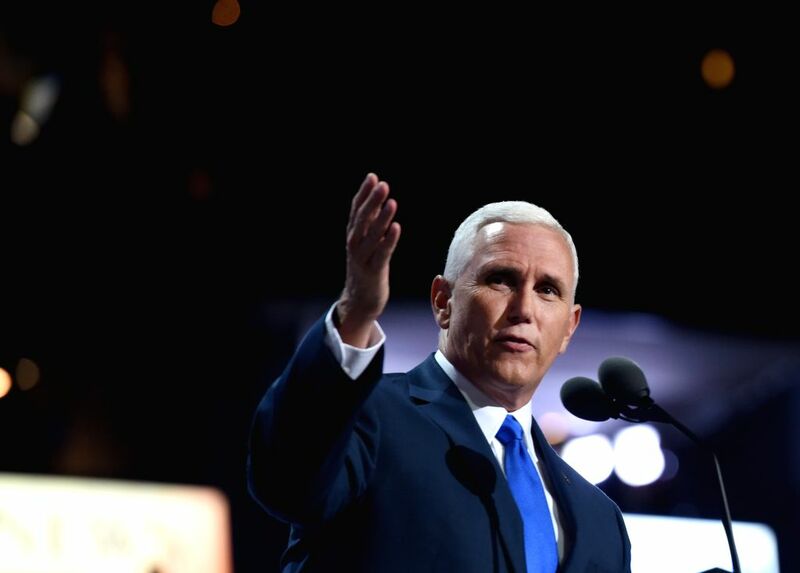 Indiana Governor and Republican vice presidential nominee Mike Pence speaks at the Republican National Convention in Cleveland, Ohio, the United States, July 20, 2016.